Allergies can cause real discomfort at the best of times, but it you find yourself regularly suffering the symptoms whilst in bed it can begin to impact your overall health and wellbeing. A good night’s sleep is essential for a healthy and rested body and mind. If you’re finding that your sleep is constantly being disrupted by symptoms of an allergy, then it’s time to act to make your bed an allergy-free zone. 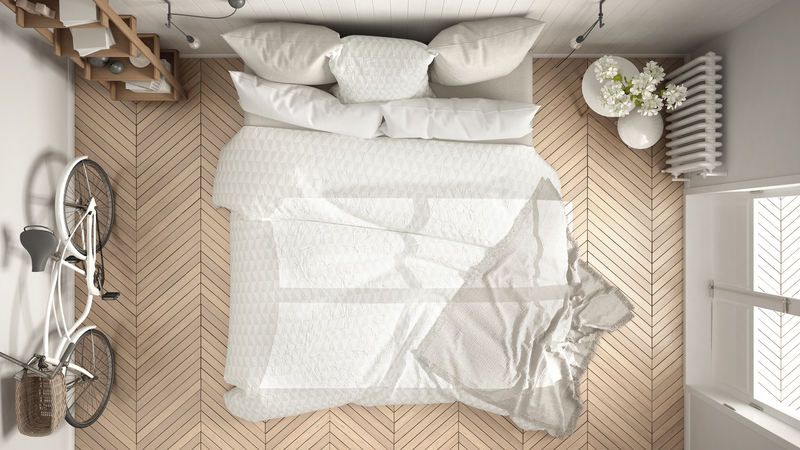 Here are our top 6 tips for banishing allergens from your bed. Hypoallergenic or anti-allergy bedding– A hypoallergenic or anti-allergy mattress, pillows, duvet, cases and covers can all help to ward off dust mites and reduce your contact with allergens. Mattress encasement– Those with allergies may benefit from investing in a zippered, anti-allergy mattress encasement. 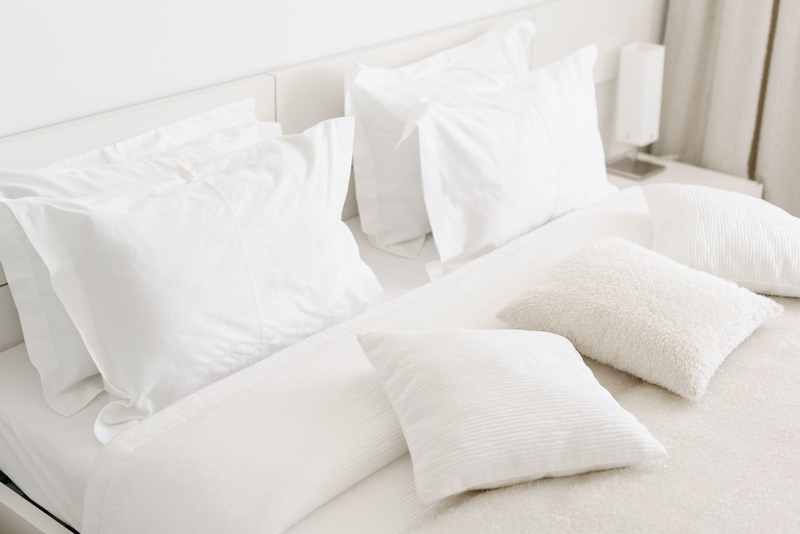 Standard bedsheets allow allergens like dust and dust mites to pass freely through the fabric. A mattress encasement creates an effective barrier between you and the allergens. Vacuum your mattress– Vacuuming your mattress regularly is an important part of caring for your mattressand keeping it clean. If you have allergies you may wish to increase the frequency with which you perform this job. Rather than vacuuming the mattress monthly you may wish to do it every time you change the sheets. Shower before bed– Throughout the day you will collect allergens on your clothes, skin and hair, and showering before bed will help to prevent those allergens then being transferred to your bed. Keep pets away– There’s nothing cats and dogs love more than curling up on your duvet and pillows in the cosiest spot in the house. Whether or not you’re allergic to your pet, they can carry unwanted allergens in their fur so banning them from the bedroom is a no-brainer. Don’t store things under the bed– That rarely used space just below your bed can quickly gather dust and turn into a breeding ground for dust mites. Keep it clear from clutter to make it easier to regularly vacuum under the bed. Speak to one of our experts here at M6 beds by giving us a call on 01270 879 379 for further advice about which of our products are most suitable for allergy sufferers. Most people have a collection of dreams that will stay in their minds forever, either for their happy, disturbing, or downright bizarre nature. Throughout history people have always been fascinated by dreams, from the Ancient Greeks to history’s most famous psychologist Sigmund Freud, everyone has had theories about why we dream and what our dreams really mean. Many of us have experienced that strange feeling of déjà vu that we’ve previously dreamt what we’re now experiencing, making it not so hard to imagine how the Romans and the Ancient Greeks believed that dreams could predict the future. Psychoanalysts of the 19thand 20thcentury like Carl Jung and Sigmund Freud came up with the theory that our dreams are an insight into our unconscious minds. This theory prompted the creation of many dream dictionariesexplaining what each different aspect of a dream could symbolise. Many people still enjoy ‘decoding’ the hidden meaning behind their dreams in this way. Many modern neuroscientists now believe that our dreams don’t have any real meaning, they’re just a side-effect of the neurological activity that occurs whilst we sleep. When we sleep our brains consolidate our memories, processing what we have learnt that day, storing some information and getting rid of the rest. Some people believe that random thoughts and dreams are triggered by this process. Whatever you believe about dreams, there’s no denying that its fascinating what our minds can come up with whilst we’re fast asleep. Even if they don’t have any true meaning or insight, there’s no saying that we can’t still be inspired or learn from our dreams. So, create an inviting and relaxing space to sleep, get comfortable, and get dreaming. Not getting enough sleep can leave you feeling grumpy and irritable the next day, but did you know if can also be bad for your health? Without sleep, we wouldn’t survive very long. Even after just one night of disrupted sleep many people will experience a negative impact on their mood and mental functioning. This is because our bodies use the time that we sleep to perform some very important jobs that are vital to our wellbeing. Our brains use those valuable hours that we are asleep to process everything it has learnt during the day and for the body to restore and repair itself. The stress hormone, cortisol, lowers. Your brain creates long-term memories. Cells in your body grow and repair. Your immune system fights inflammation and infection. What problems can sleep deprivation cause? 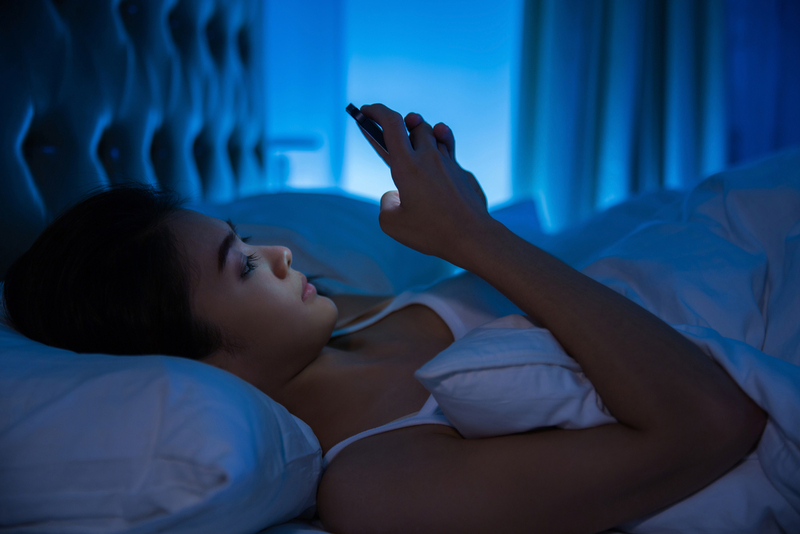 Prolonged periods of disrupted sleep or sleep deprivation will not only cause extreme fatigue but can also be a real danger to our health and wellbeing. It is said that the optimal amount of sleep required by the average adult is somewhere between 6 and 8 hours a night. If you are regularly getting less sleep than this then you may find yourself yawning a lot and feeling very drowsy and irritable during the day, sure signs that you’re sleep deprived. 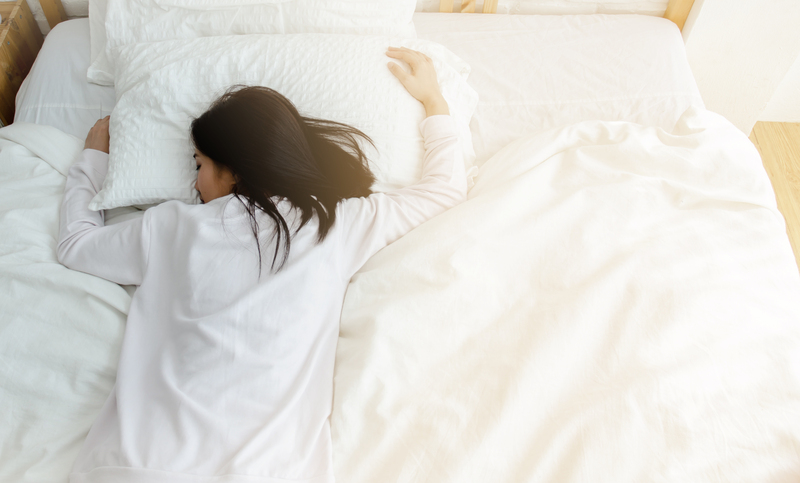 Getting enough sleep is vital to your health, and the average person will spend one third of their life in bed, so it’s worth investing in a bed, mattress, and bedding that are comfortable and inviting. Even if your mattress always has a protector on top, routine care will help to keep it clean and comfortable for longer. Did you know that on average we spend one third of our lives in bed? And that the average person sheds over 8 pounds of dead skin in a year, a lot of which is bound to end up in our beds. Mattresses collect a lot of dead skin and dust mites over time, making them a breeding ground for bacteria. Whilst it’s possible to strip off our bedsheets and mattress protector and pop them all in the washing machine, it’s not as easy to give your mattress a deep clean. That’s why it’s so important to protect your mattress by keeping up with routine cleaning and maintenance. Routine cleaning– Running the hoover across the top and sides of your mattress after removing all bedding to be washed helps to remove dirt, dust, dust mites and other allergens. Air it– Another great way of freshening up your mattress and removing allergens and bacteria is to get it outside and air it. Be extra careful that you choose a dry, sunny day as you don’t want your mattress getting wet. Dragging a mattress outside isn’t the quickest job, so if you only manage to do this once a year that’s fine. Stripping off bed sheets and opening bedroom windows wide can also help to air the mattress. Stains – If you spill something on your mattress it’s best to tackle the stain as quickly as possible before it dries. Check the manufacturer’s instructions for advice before attempting to wash it. Try rubbing in a gentle solution of washing up liquid and water before moving on to anything stronger. Smells – Baking soda can be used to deodorise and freshen up mattresses that have started to smell a little. Simply sprinkle baking soda over lightly and then use a clean brush to rub it in. Leave to sit for at least an hour, then hoover it all up again and it should take the bad smell with it. For further advice on how to care for your mattress, read our mattress care guide. Which pillow suits my sleeping position? If you find yourself tossing and turning every night, or waking up feeling stiff every morning, it could be your pillow that’s to blame. Whilst selecting the right mattress is very important to your health and comfort, your pillow can have just as much of an impact on your quality of sleep. Choosing a pillow suited to your preferred sleeping position can dramatically improve your comfort. Use our guide below to make sure you’re sleeping on a suitable pillow. Back sleeper –Back sleepers will be most comfortable using a pillow of thin-medium thickness. Thick pillows can push your head too far forward when lying on your back, causing discomfort over time. Memory foam pillows are also a great option for back sleepers, as they mould to the shape of your neck to provide consistent support. Stomach sleeper –Sleeping on your front isn’t recommended as it can put stress on your lower back, but if this is your preferred sleeping position a very thin and soft pillow, or no pillow at all will provide the most comfort. You may also benefit from placing a thin pillow under your stomach to prevent lower back pain. Side sleeper –Side sleepers will get the best support from firm pillows of medium–high thickness, as elevating your head more will help to align your neck and spine. Side sleepers may also benefit from placing an extra pillow between their knees to prevent hip and back pain. 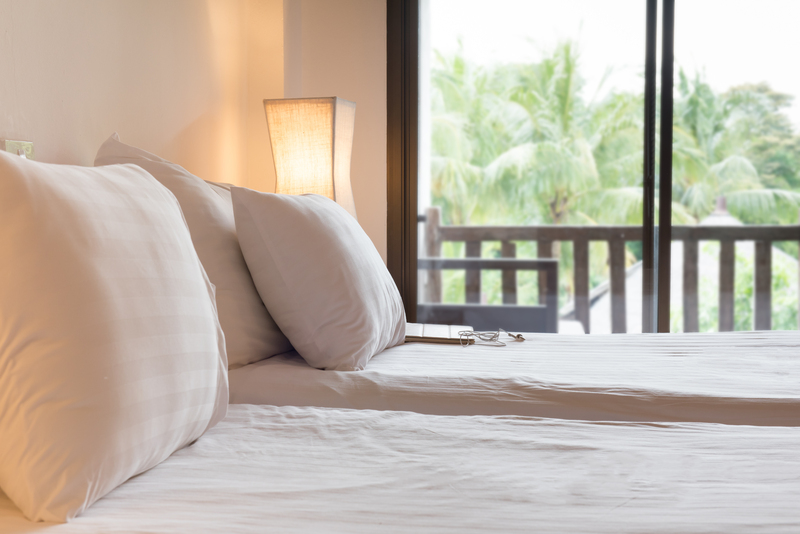 Mixture –A medium pillow provides a good compromise for those that move around a lot in the night. Don’t forget to replace your pillow every 18 – 24 months for optimum comfort as pillows do tend to lose their shape over time. How and when should I flip or rotate my mattress? With proper care, your mattress should provide you with comfort and support for many years. Whilst mattresses can be expensive, getting a good night’s sleep every night is priceless. To increase your mattress’ longevity, it’s important to care for it properly. One important aspect of caring for your mattressis rotating it, a task that should be completed routinely. Why flip or rotate a mattress? Regularly rotating and flipping your mattress keeps it in better condition for longer, helping it to provide you with the support you need for a comfortable night’s sleep. Over time, your mattress may sag or develop an impression in the spot where you lay. By rotating your mattress, you spread out the wear, giving the space where you sleep some time to regain its shape again. Should I flip, rotate, or both? Whilst you can and should rotate most mattresses, not every mattress should be flipped. Many modern mattresses are now only one-sided, so check what kind of mattress you have before you attempt to flip it! Mattresses that are slept on every night should be rotated once every 3 months, whilst less frequently used mattresses, like those on guest beds, can get away with being rotated once every 6-12 months. To rotate your mattress, begin by removing all sheets, duvets and pillows from the bed and clearing the space around your bed. Now turn the mattress 180 degrees so the head end is now at the bottom of the bed. If your mattress is double-sided, you should rotate your mattress 180 degrees at the same time as flipping it over. View our full range of mattresses and give our team of experts a call on 01270 879 379 if you have a question about how to care for any of our products. Covering your mattress with a mattress protector is key to keeping it clean and hygienic, as well as increasing its longevity. As careful as we try to be with our mattresses, sleeping on them every night makes getting them dirty unavoidable, and they’re not the easiest items to clean. Mattress protectors are affordable, practical and comfortable, so popping one over your mattress as a precaution is a bit of a no-brainer. Mattress protectors are simply fitted directly over the top of your mattress in the same way as a fitted sheet. Usually made using cotton, polyester or lycra, most mattress protectors are designed to be liquid-resistant, comfortable and breathable. A mattress protector will stop an accident from damaging or staining your mattress, increasing its longevity and making your investment go further. Dust mites– There are some dire stats out there about dust mites and your bed. It is said that a used mattress contains somewhere between 100,000 and 10 million dust mites! A mattress protector creates a barrier between you and then. However, if you suffer from a dust mite allergy you may be better off looking for an anti-allergy barrier cover. Bacteria– Whilst spills can be wiped and scrubbed away, it’s not easy to deep cleanse a mattress. And with the average person spending one third of their life in bed, it’s easy to see how bacteria can quickly build up. A mattress protector slows down the process and creates a barrier. Bodily fluids– You’ll be particularly glad of your mattress protector for times when you or another family member are unwell. Protect your mattress from becoming smelly from excessive sweating or vomiting. This is particularly relevant if you have a baby or young child in the house. Spills– A relaxing cup of tea or breakfast in bed can end in disaster if you spill something without a mattress protector in place. Allergens– If you suffer from allergies or have very sensitive skin, then you’ll need to take extra care to stop your bed collecting too many dust mites and other allergens. A mattress protector not only acts as a barrier, it can also be whipped off along with your bed sheets and regularly washed clean of allergens. 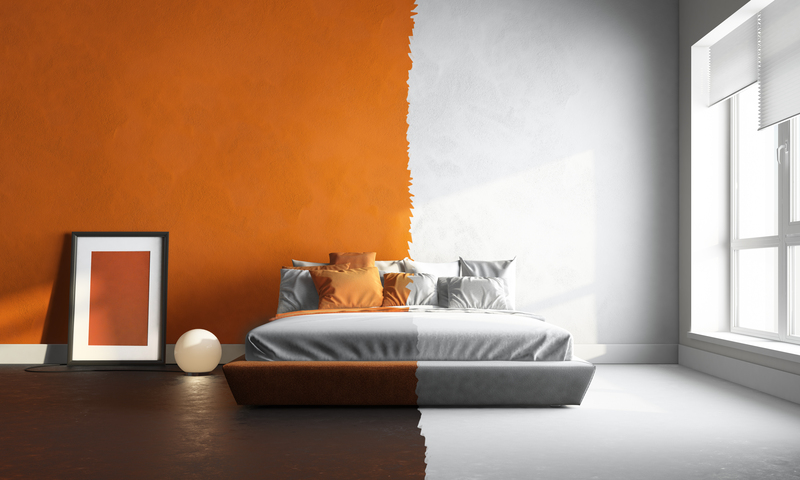 Which Bed Size is Right For You? If you are thinking of investing in a new bed you may not be aware there are currently six standardised bed sizes to choose from. Which one you go for of course will depend a lot on how much space you have in your bedroom and how much room a person needs when under the covers. The 6 different bed sizes are small single, single, small double, double, king size and if you like your bed to be massive, super king size. Some shops might even stock queen sized beds which are slightly smaller than a king size. While the easy answer to choosing a bed is simply to go for a standard single for a child over the age of 6 the options can be a bit more complicated for couples. Beyond the size of the room, it has to be considered how easy it will be to get a king size bed and mattress into a house or apartment. A super king is nearly two ft wider than a double bed which presents its own problems. Then it comes down to comfort. Do you as a couple like to sleep close together or far apart? A Super King may take longer to warm up than a cosy double for example. Whichever bed size you are looking for we have a wide choice of options at M6 Beds. Ah the weekend lie in. This can be nothing more than a dream for parents or those with work commitments but if you can get away with a lie in at the weekend can bring many benefits. So let’s look at some of the obvious and not so obvious benefits of a few extra hours spent under the duvet. The working week can be hectic. If you’re in University lectures and coursework can take a tool on our brains. So why not just grab some extra hours in bed where you don’t have to think about exams or missed deadlines. For some people Friday nights can be late nights leaving next to no energy for the following day. Having a lie in can restore those energy levels and help you stay out later on Saturday nights or have more energy for sporting activities. It’s nice when all the family can enjoy a lie in without the distractions of TVs and mobile phones and having to rush around and get ready for school. A lie in wouldn’t be a proper lie in without a comfy bed, so why not check out our range of beds? Or “have you made your bed this morning” might conjure up flashbacks of childhood when parents were eager to teach us how we should keep everything tidy. So as adults is there any point in keeping up this tradition and making the bed every morning? We can all come up with plenty of excuses for not completing this routine task such as it wasn’t our day to make the bed or my partner doesn’t bother so why should I? Yet making the bed in the morning isn’t just another boring activity without any benefits, you may even find that you day and life is better when you do. There is a lot to be said for starting the day with a tidy up. Making the bed transforms your bedroom even if that is the only thing you do in the morning. Plus, you will have the satisfaction that you have completed this first task before the day has even got started. The more completed tasks we achieve the more motivated we become. You will change your clothes most days but what about the place where you spend 8 hours of your day? Dead skin cells and dust can all build up and sometimes trigger allergies. Shaking out your sheets and changing them regularly will leave your bed cleaner. In summer too all sorts of insects can end up in the sheets of an unmade bed. If you are heading up to an unmade bed night after night it can be quite depressing. An unmade bed isn’t the most appealing prospect at the end of a long working day. So why not get the task out of the way in the morning and give yourself something to look forward to?